Beau Smith has written Guy Gardner, the Black Terror, Wynonna Earp and many other comics over the past twenty years. He also served as IDW’s vice president of sales and marketing. 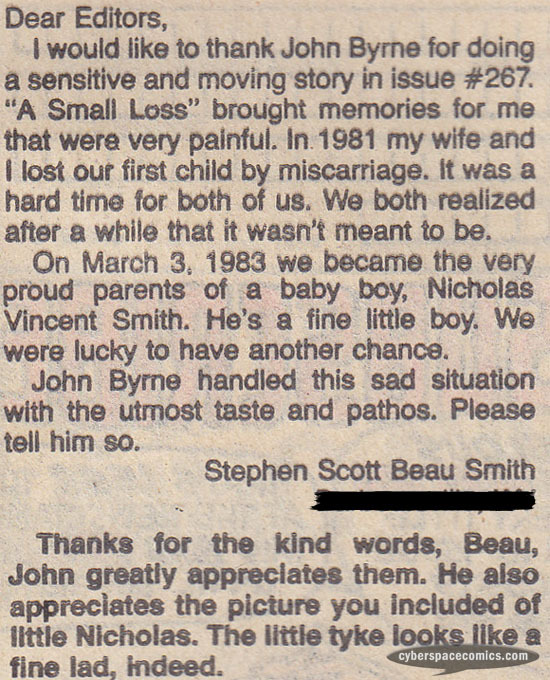 He got a letter printed in Fantastic Four #271 (cover date – October 1984), thanking John Byrne for approaching the loss of the Fantastic Four’s second child with taste and the proper amount of gravitas.